By The Shore Stamping with Jen Pitta: Top Five Tuesday: What I love about SU! Happy Tuesday! I hope you enjoyed a nice weekend. My weekend was extended a bit, but not in a very good way. Had a bit of a stomach issue yesterday, but thankfully feeling better today. If you have been reading my blog for awhile, you likely know that I am a proud supporter of Stampin' Up. I think it's such a great company and has offered me so many opportunties over the past seven years. This photo was taken at the Manager's Reception (held at the Wizarding World of Harry Potter at Universal Studios) this past January in Orlando. It was the first year I qualified to attend a Manager's Reception and I had a blast! I thought I'd share with you some of my favorite things about Stampin' Up for my Top Five Tuesday post today. Inspiration - One of the highlights of my job with Stampin' Up is being exposed to thousands of project samples and product training videos (you don't think I'm this creative on my own, do you?). I was the type of kid that loved Staples... the paper, pen and calendar aisle mostly. So imagine my excitement when I discovered the world of scrapbooking and rubber stamping -- I can literally spend hours looking at my Stampin' Up catalog (and have! 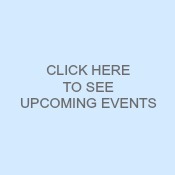 ), our demonstrator website or snapping photos at one of our training events . This photo (below) was taken at Leadership in January. Isn't this layout beautiful? It just screams spring and I'm so ready! Friendships - I have met some of the. most. amazing. people ever because of my connection to Stampin' Up -- not just fellow SU demonstrators, but also customers, fellow paper crafters and people who have ultimately become incredibly good friends -- all because I picked up some paper and a rubber stamping habit! Money - Now of course, having this job pays me in more than just stamps! For well over five years now I've been earning income from this "hobby" of mine. (The first couple of years I was more interested in collecting one of everything!) I haven't used any "house" money to buy stamps in at least that time frame and in fact have a nice little savings account for rainy day activities now. The great part about it is I can control not only how much I take out of that account for my *ahem* addiction, but also how much I put into it -- the more I work, the more I make.... and it's such fun work! Who wouldn't love to get paid to come up with cards and scrapbook pages?? Anyway, that's my top five post for today. 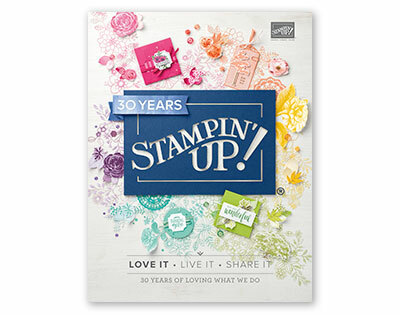 If any of this interests you, be sure to check out our starter kit special for Stampin' Up's 25th anniversary. New demonstrators get to select $156.50 (25% more than the usual kit offer) worth of merchandise of their choice for just $99 and no shipping costs! Awesome. Hurry, though, as this deal is only good through March 22nd. Not familiar with Stampin' Up products? E-mail me and I'll send you a free catalog. Interested in the deal, but have questions? E-mail me and I can help with that, too.